MGM Resorts is an entertainment company, through and through. For nearly two decades, we have been a leader in diversity and inclusion and LGBTQ rights. As we thought about the intersection for those two important pillars of our DNA, we saw a gap -- there really wasn’t music that connected to one of the most important values of our organization – inclusion. We believe that everyone should have that experience with music that speaks to them specifically. 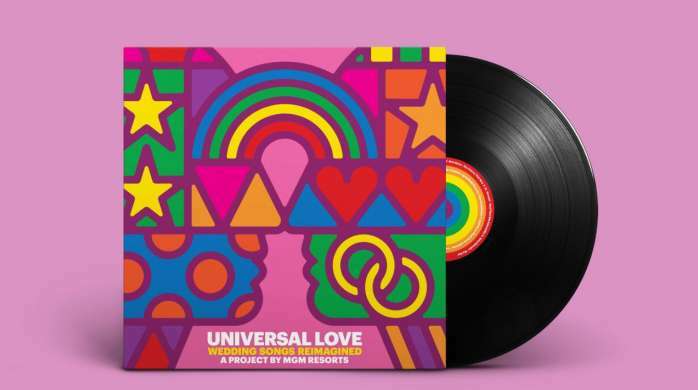 Universal Love represents the intersection of MGM Resorts position as an entertainment leader and its commitment to diversity and inclusion. Entertainment, in this case, music, should be universal with options that speak to everyone’s personal experiences.